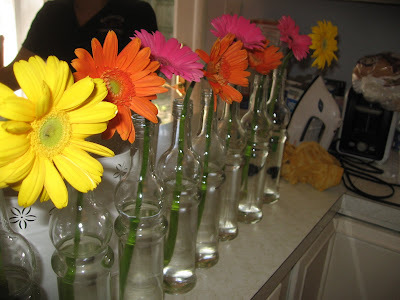 Another DIY that I chose to tackle were our centerpieces. My husband and I had bought these aluminum pails from Hobby Lobby for about $3.99 each. They were originally in bright colors, but they didn't match the wedding, so my husband spray painted them all white. 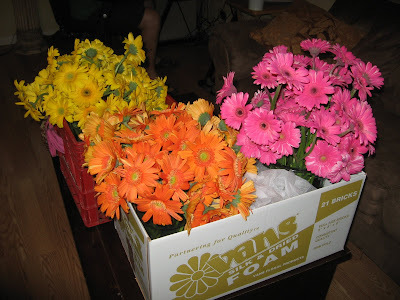 We were very fortunate with our flowers because we were able to buy them wholesale. 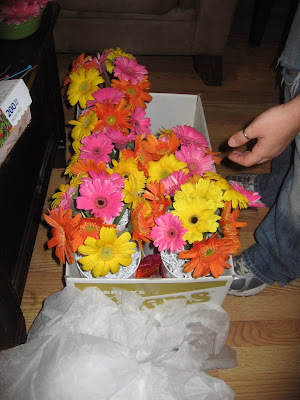 We got 50 yellow, 50 orange and 50 hot pink gerber daisies, and only spent about $1.05 per stem. Overall, I was very happy with how they all turned out. Check out our experience below! 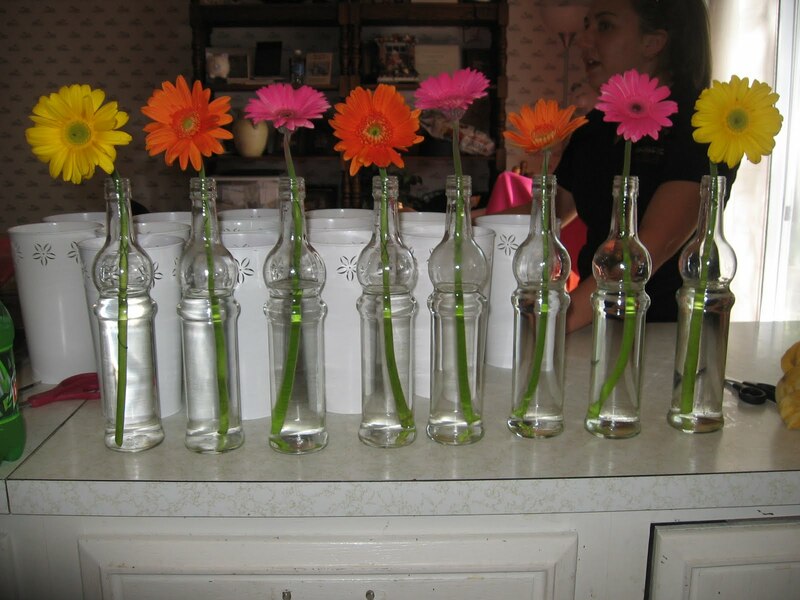 I found these glass bottles at a local glass factory in my hometown for $.50 each! I put a single gerber daisy in each, and put them on the memorial table and a couple on our sweetheart table. 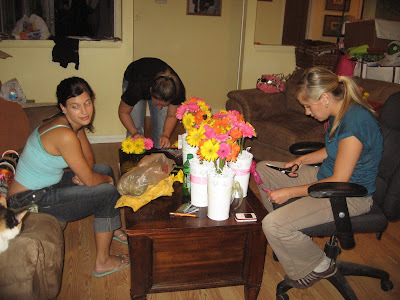 My awesome bridesmaids helping me out with assembling. The finished centerpieces. 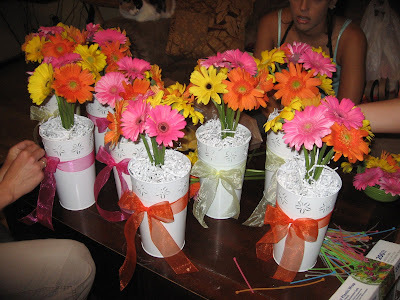 My bridesmaids though that the pails needed a pop of color, so my Maid of Honor went to Hobby Lobby and bought the sheer ribbon to tie around them. I just came across your blog and love it! My colors are pink, orange, and yellow and we are doing a gerbera daisy theme too. 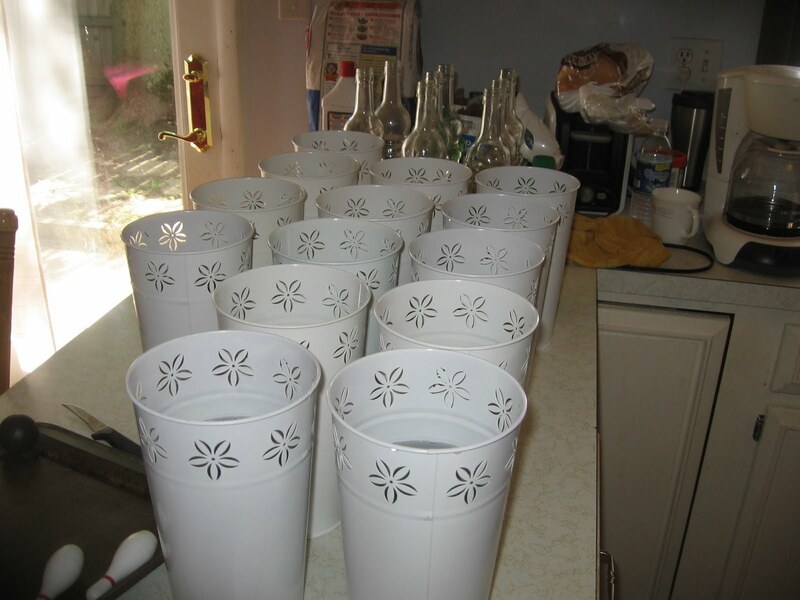 I was wondering if you plan to sell anything now that your wedding is over? We sure do! I plan to create a "For Sale" page in the next week or so!